API’s cases and containers are the strongest, most reliable transport cases available. 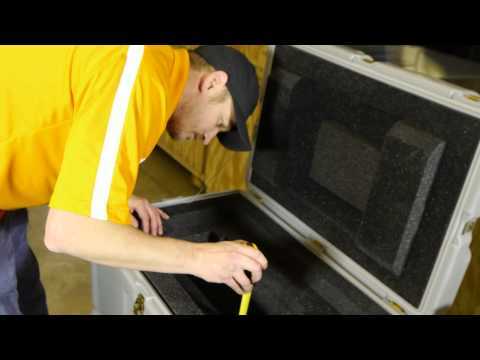 Whether you are shipping electronic instruments, weapons, or workstations, our line of over 350 standard rugged cases will handle the job above and beyond your expectations. Our military cases and accompanying cushioning systems comply with MILSTD requirements and are available in over 10,000 original engineered designs to meet any need. These airtight, lightweight containers are shockproof and waterproof- built to withstand harsh combat conditions. Whether you need single lid transit cases or double entry rack mount cases trust API’s 50 years of experience as worlds most trusted MIL- STD case manufacturer. API offers the largest selection of field proven military weapon cases available from any authorized dealer, bar none. In addition API can quickly customize interior foam inserts of existing cases for easy, mission specific solutions. API is the total solution for all your weapons transport and storage needs. If Custom is what you need, trust API’s certified packaging engineers to design and manufacture precision foam inserts guaranteed to securely hold and protect your sensitive equipment along with designing and manufacturing a case specific to the required size. API understands the importance of user friendly custom instructional labeling and placards. Our professionals will work with you during the design and engineering process to determine the best method to use.